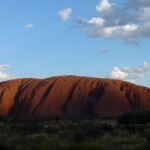 Australia Road-trip from Uluru to Cairns? Where should they go and what should they see to get the most out of their four week stay down under? …they’d taken the train up to northern NSW and been enthralled by the wonders of the ancient rainforest and Antarctic Beech trees. 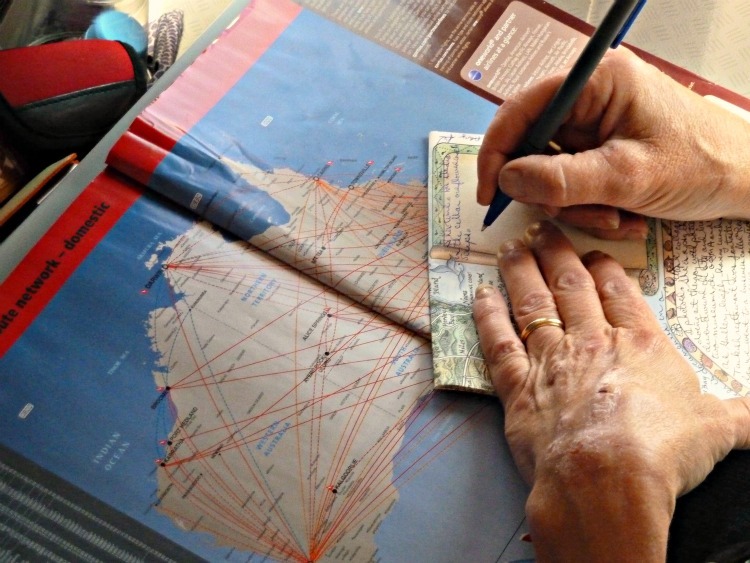 What could they achieve on a $1,000 budget to make a truly memorable trip? when we decided to take a peek at the standby relocation website to see if any vehicles were available (at a fraction of the rental cost) to kick off our ideas in a fresh direction. to do the trip of a lifetime from the red centre of Australia to the lush green tropics of northern Queensland? At Yulara we stayed at the camp site and hired a chalet for $150 per night (for 2 nights), which between the four of us was $37.50 ea per night ($75 each for the first two nights accomodation). Uluru and Kata Tjuta National Park fee is $25 each and allows unlimited entries over a period of 3 days. 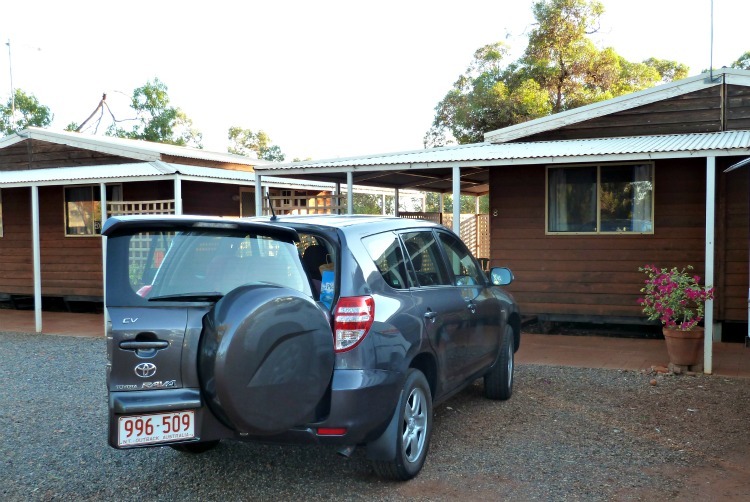 (returnable for no extra cost to Alice Springs), which meant we had our own transport to come and go as we pleased. I’d highly recommend this. Doing the trip in November, the weather was hot. 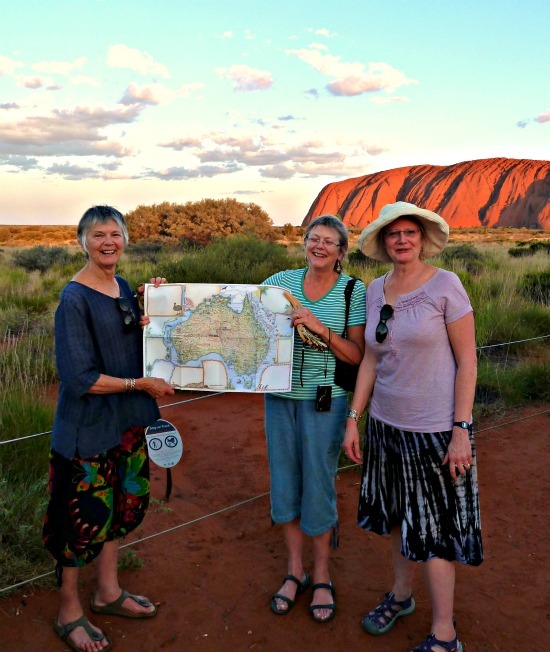 It was more than a bonus being able to choose what time of day we’d be active to take in the wonderful Mala Walk, the Kuniya Walk and the Walpa Gorge Walk at Kata Tjuta (where we enjoyed the sunset on the second night)… and when it suited us to retreat from the red centre heat. But the length of the hire is limited – And of course the choice of locations is dependent on seasonal movements – The consequential serendipity of where you end up can all add to the adventure! We were allocated 5 days to cover the 2,500 km from Alice Springs to Cairns as part of the relocation, but opted to hire it for an additional 2 days (the max) at a reduced rate – The cost to hire the 6 berth Motorhome, including insurance (and chemical for the toilet!) was $385 so $96 each for the 7 days. 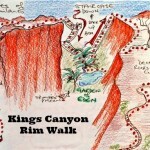 The extra couple of days was to spend more time in the Red Centre and explore the West McDonnell Ranges. It was wonderful! Apart from the Devils Marbles where camping in the conservation reserve had limited facilities (only a pit toilet) and the cost minimal ($3.30 per person) we chose to pay the extra and stay in camping grounds along the route. For what averaged less than $10 each per night, it meant there was no queuing for the shower – As soon as we pulled off the road we could all get straight into the shower block and take as long as we liked – We also could make use of the laundry facilities, the wonderfully refreshing swimming pools, and spacious bar-b-q and picnic areas – With our tight time frame, the meagre ‘extra’ cost (in this instance) was more than worth the added convenience. 770km (480 miles) from Mt Isa to Charters Towers. 495km (305 miles) from Charters Towers to Milla Milla up on the Atherton Tablelands. Diesel fuel for the trip was 15% more than we’d anticipated – On the hire company’s website the specifications said our model of motorhome should do 13 litres per 100 km – We calculated out the expected cost based on this consumption but at $2 per litre, which we felt would compensate for any extra unexpected deviations. It is true that due to the heat we did have the air conditioning going when we were moving, but we travelled at a leisurely rate that shouldn’t have chewed up the fuel that much. It’s therefore worth bearing in mind that as the vehicle only has a 75 litre tank that at 15 litres per 100km the max we should allow between fuel stops is 500km – Worth knowing where fuel stops in these outback regions are not so frequent. Total fuel from Alice Springs, out to Glen Helen and back, then north and west to Cairns was $890, which between four of us cost $222 each. 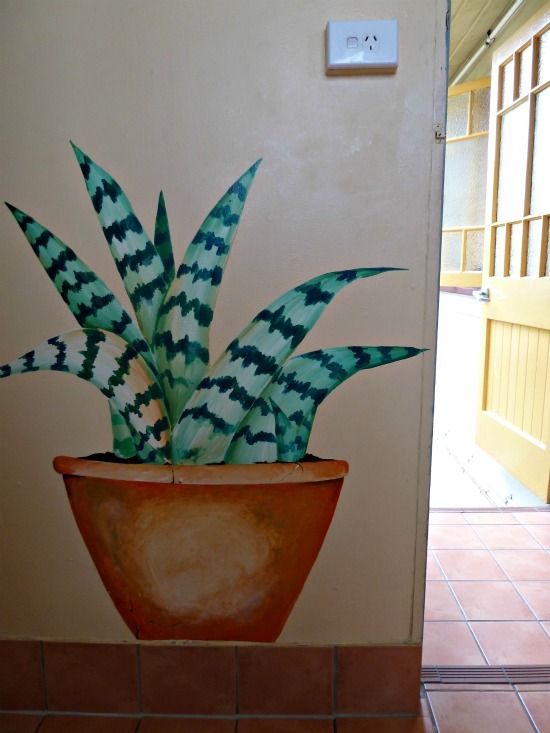 We spent our final night in Cairns at Tropic Days backpackers in a four bed dorm for $24 each. There was a free pick up from the motorhome depot where we dropped the vehicle off. The flight back from Cairns to Brisbane was $190 each. $1,135 per person for 10 days. And wow – what a trip it was! Are the Ochre Pits the Pits? Have you done a big Australia road trip? How did your costing work out? Expensive… Cheap… or for what you got, great value? This entry was posted in Australia - The Red Centre and tagged atherton_tablelands, ayers_rock, barkly_tablelands, cairns, central_australia, countries_in_australia, devils_marbles, Kata_Tjuta, northern_territory, olgas, red_centre, uluru by Linda. Bookmark the permalink. 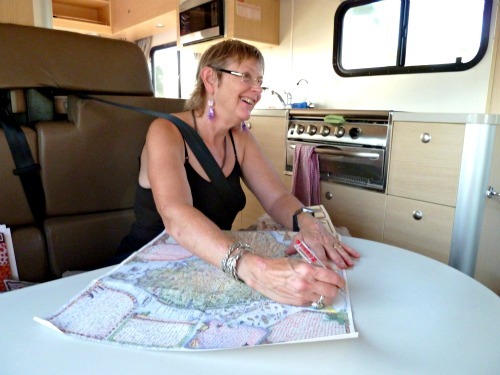 I’ve often seen those campervan relocations posted about on Twitter and would love to do that one day! Sounds like a gorgeous trip Linda. 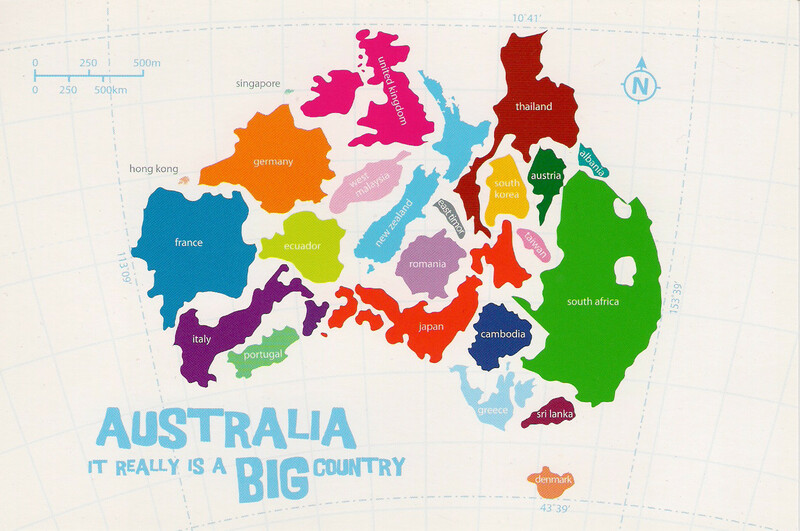 Its a great way of seeing a lot of country, particularly if you’re time constrained anyway! That is great value! I’ve looked into relocation campers before in Oz and it seems like such a good deal if you can find one that fits your itinerary. I’ve used the relocation system three times now – and each time have been thrilled with what I got to see for the cost! A couple of times where I quite specifically needed to get from one point to another (once when moving and had more gear to transport than I could have comfortably flown). Linda, what a great trip! I would definitely love to do a similar trip with my children as it is such an amazing part of the country to visit and experience. Linda, I have looked at relocation campers before, but never actually used them. We are heading to japan in September which is going to use all of our travel money, but maybe i can have another look in the next year or so. I’m *green* about your trip to Japan! 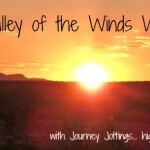 Wonderful blog about your trip, so user friendly your trip sounds and economical! Thanks for all the details, have often thought about doing this! I can certainly recommend it Sue! What a great trip, Linda! Looking at you guys in the pictures looks you’re enjoying it. Goodluck! Awesome! 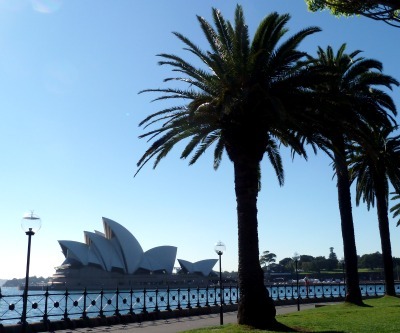 Our biggest road trip in Oz was a return trip to Australia after we moved back to the U.S. We flew back using Airline reward miles, then rented a car. We drove south from Sydney along the coast, stopping for lighthouses, around to the G. Peninsula, up to Melbourne, then over through the Grampians to Adelaide, where we stayed several days with friends. Along the way we stayed in motels, which weren’t busy in September, but sometimes not open either! From A. we flew to Alice, where we saw several friends from when we lived there. From Alice we flew to Cairns, staying with other friends. We then rented a care and drove back to Sydney for our flight home a month later than we started. Saw beautiful and historic sites around the country, with several serendipitous moments as we journeyed. That sounds like an amazing round robin of a trip! !